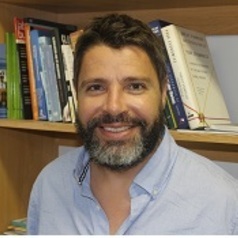 Michael Rogan is an Associate Professor in the Neil Aggett Labour Studies Unit (NALSU) within the Institute of Social and Economic Research at Rhodes University. Since 2011 he as been a research associate in the global research and advocacy network, Women in Informal Employment: Globalizing and Organizing (WIEGO). He holds a PhD and a Master’s degree in Development Studies and a Bachelor of Arts in International Studies from the University of Washington in Seattle. His research interests include: gender, informal employment, health, poverty and inequality, and education and skills development.